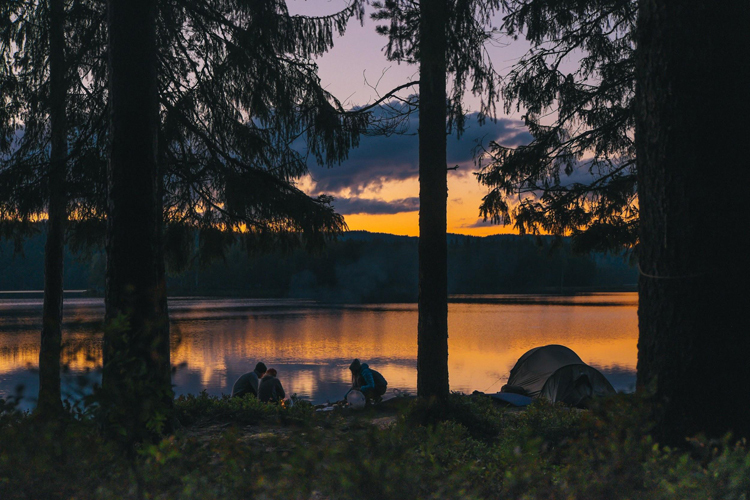 Nothing in life is better than getting out into the wilderness with your friends, finding a good campsite to pitch your tent and sharing a well-earned beer under the stars. The American South is a dream for campers. The region has some of the most unspoilt and accessible wilderness in the United States, if not the entire world. 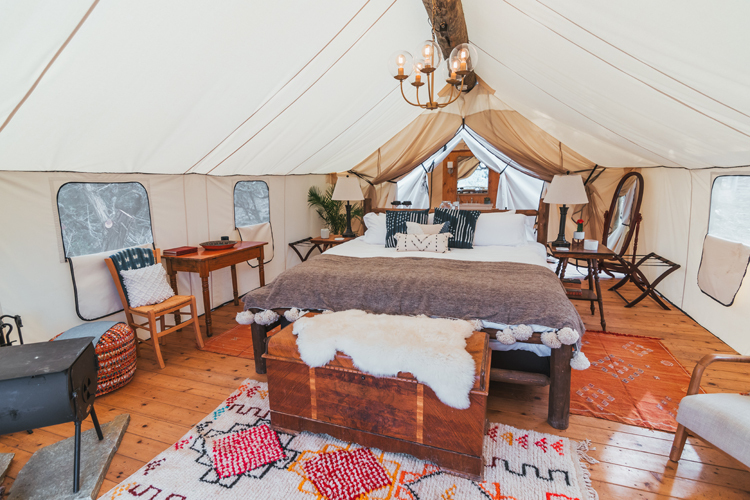 Whether you are an experienced multi-day wilderness camper, or someone who enjoys a little bit of glamping, the South has something for everyone. 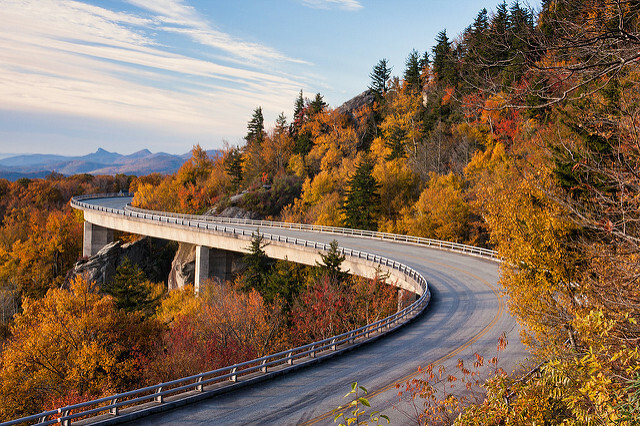 Below are just a few of our favorite places to pitch a tent South of the Mason-Dixon line. If you like to combine your camping trip with a little bit of water-based activity thrown in, then Okefenokee could be the spot for you. With over 400,000 acres of wet prairies, cypress forests and pine uplands, visitors to this gem in Southeast Georgia will not be disappointed. Paddling around the swamp is a once in a lifetime opportunity for nature lovers and will be like nowhere you have been before. A refuge for migratory birds and home to a myriad of other animals such as alligators, bobcats and black bears to befriend—if from a safe distance. Campers can canoe or kayak along 120 miles of wilderness trail systems to a series of designated campsite spots. This is not a spot you can just turn up and pitch a tent. A little organization is necessary as permits are required for overnight stays, but it is 100 percent worth the little extra effort. If you have trouble sleeping when camping, then check out the Sleep Advisor blog for expert hints and tips. If you need an air mattress for camping, check this tutorial to make it more comfortable. Often cited as one of the best beaches in America, the white sand of Malaquite Beach on Padre Island in Texas is the perfect place to relax during the day and hunt for sand dollars. Not only that, it is also a great place to pitch a tent at night. You can simply sit and feel the sand between your toes, go for a midnight dip in the sea or just lie on your back and stare at the endless starry sky. Malaquite Beach has it all. Remotely located 10 miles south of the Schlitterbahn in Padre Island National Seashore, Malaquite is far from civilisation, and as a result is blessed with clear waters and soft clean sand. It is worth doing a little research to time your trip for one of the regular sea turtle releases that take place during the summer months. And if you are around in February, keep a look out for the annual kite festival. Home to the largest intact old-growth hardwood forests in the United States, Congaree National Park is a camper’s delight. Often described as the classic Southern landscape, Congaree is South Carolina’s only national park and is home to some of the most lush and green scenery you are likely to find anywhere. With a swamp system fed by the Conagree and Waterree rivers, Congaree is home to many unique attractions, from adorable river otters to feral wild pigs and even glow-in-the-dark green mushrooms. The latter to be admired but not touched due to toxicity. From canoeing, hiking and fishing to birdwatching, there is something for every camper in Congaree. To cater to campers, the park boasts two great free campsites, but if you want to get even more remote, then backcountry camping is available with a permit. If you are visiting in the summer, take your mosquito repellant. It can get a little bit bitey! Split in two by the mighty Rio Grande river, Big Bend National Park in far West Texas is home to some of the best canoeing, kayaking and rafting in the whole United States. And once you’ve had your fill of the water, the park offers an amazingly varied scenery of desert and mountain terrain to lose yourself in—metaphorically speaking hopefully! A hike through the amazing limestone slot canyon known as the Devil’s Den is the perfect dryland activity. Located in splendid isolation, the park’s remote location means it is untouched by light pollution, making star spotting a nightly delight for campers. While Texas may be known as the Lone Star State, you wouldn’t know it here! Big Bend has three managed campsites, but with miles and miles of tracks available the opportunity for backcountry camping should not be missed. So, there you have it: four of the best places to pitch your tent in the American South. Each offers something a little bit different. And if none of those takes your fancy, then fortunately there are a lot more where they came from. For hiking gear, click here.